Thread Bear's Picnic - www.aoibheni.com: ISO Tech-Editor for pattern fixing, walks in the park... and maybe more! ISO Tech-Editor for pattern fixing, walks in the park... and maybe more! So, the search for a tech editor continues. I don't exactly blame myself for waiting this long in the game to think about finding someone to "fix" my patterns. I mean, this is my first foray into the world of collection publishing, so it's a steep learning curve and to be honest, I'm finding it difficult to get much useful advice from other, more experienced designers, with one huge exception. But, yea. I have discovered two places which may be the key to my finding a good, experience techie who is willing to start a beautiful relationship with little 'ole me. 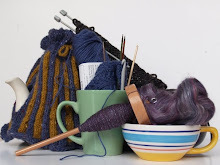 The first is a ravelry group, Indy Pattern Designers Resources. There are pages and pages of Tech Editors on there. Far more for knitting than crochet, but they're in there if you look for them. The second is a Yahoogroup. Not sure if it's still up and running, but I emailed it anyway. I said nice things about editors in my email all true), so I hope to get some replies to my call for an editor. Really, these people, these human calculators, do something that I will never be able to do. Numbers are mysteries to me, really. I'm not a maths person, never have been, so I have huge respect for anyone touched by this gift. So, we'll see what happens next.